Driveways are prominent statement makers. 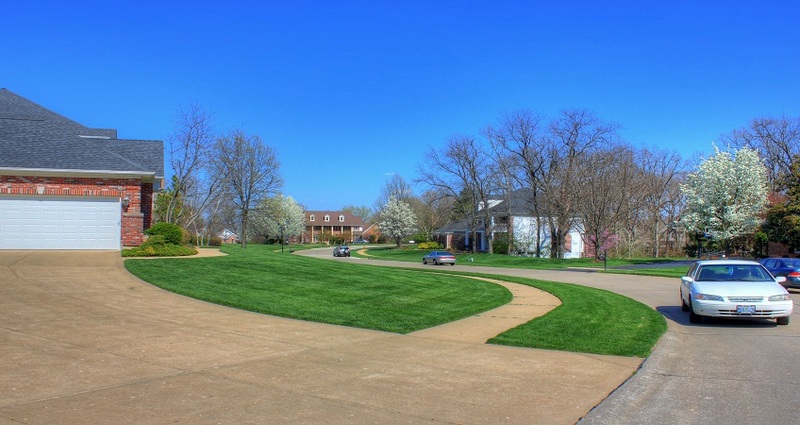 Driveways are the first thing anyone notices when they enter your property. No doubt driveways hike up the home’s curb appeal, also increase the real estate value of your property in the market. Driveways must be spacious and have ample of walk through space. Cost of the driveways depends on size of the driveway, like hoe long or how wide is the driveway. There are different types of driveway materials available for you to choose from. 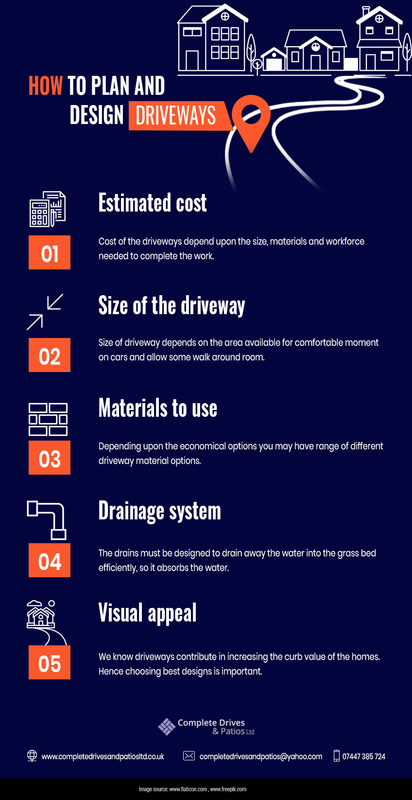 Also, the driveway cost depends on the number of days required for the work to complete and on amount of workforce implied for the project. Driveways drainage must be designed in a way that no water must be retained in or on the driveways. This may deteriorate the driveway, reducing its projected lifespan. Driveway ideas on a budget can help you deck up the foremost home appearances. With that said if you are looking for driveways ideas on a budget, Complete Drives and Patio Ltd is at your service. When planning how to design a driveway you need experts to do this job for you. For more about different types of driveways its installation, repairs and maintenance get in touch with us. Call us today get a free quote.